Sell diamonds at the best prices with private appointments & immediate payments. Deciding on where to sell diamonds requires important considerations: you need a buyer who provides competitive value for your diamonds, convenience, transparency, and immediate payment. If you’re looking to sell a diamond ring, where to sell a diamond necklace, how to sell your engagement ring in NYC or any other type of diamond you believe is of value, TRUVAL has you covered. We provide free appraisals and immediate payment for diamonds, along with discretion, transparency, and value. Furthermore, we offer the utmost professional service and expertise to help you sell diamonds in NYC. The majority of diamond dealers focus heavily on overhead and therefore aren’t concerned with maintaining lifelong customers. At TRUVAL, our goal is to educate you in the most reliable and beneficial way on how to sell diamonds, while providing you with instant payment. Our customers come first, which means we go further than the average dealer to ensure the process is not only a profitable experience, but comfortable as well. Our free appraisals, confident and approachable staff of experts, and immediate cash for diamonds give you — our valued client — an easy choice on where to sell diamonds in NYC. For these reasons, our customers return to TRUVAL as their trusted diamond buyer. We look forward to also serving you on your journey to gaining cash for diamonds! At TRUVAL, we focus on professionalism, value and customer satisfaction. When deciding on how to sell diamonds for cash, we know our customers are looking for these qualities. Specifically, individuals looking to sell diamonds in NYC are focused on finding dealers who offer transparency, trust, and expertise in leading market practices. We know it can be stressful choosing the right dealer to sell diamonds in NYC, which is why we’ve made it our mission to provide a highly professional and comfortable environment. This helps the process become an enjoyable experience. To accompany our exceptional service, we’ve provided a comfortable showroom with a private one-on-one appraisal service. Not only is this service free, but you will be matched with a highly qualified professional who will lead you to the highest prices available on the market. At TRUVAL, we’ve combined convenience with professionalism to create the perfect balance for a New York diamond buyer. Most customers are confronted with the loaded question of how to sell diamonds in NYC. When working with valuables in the preowned diamond market, this question can be daunting. Our experts at TRUVAL have designed an easy to follow 4-step process that allows you to book a valuable session with one of our diamond experts. During this comfortable one-on-one experience, you will learn everything you need to know about the diamond market so that when you sell, you sell with confidence. Our easy and valued process ensures you walk away happily with cash in hand and a better understanding of the diamond-selling process. 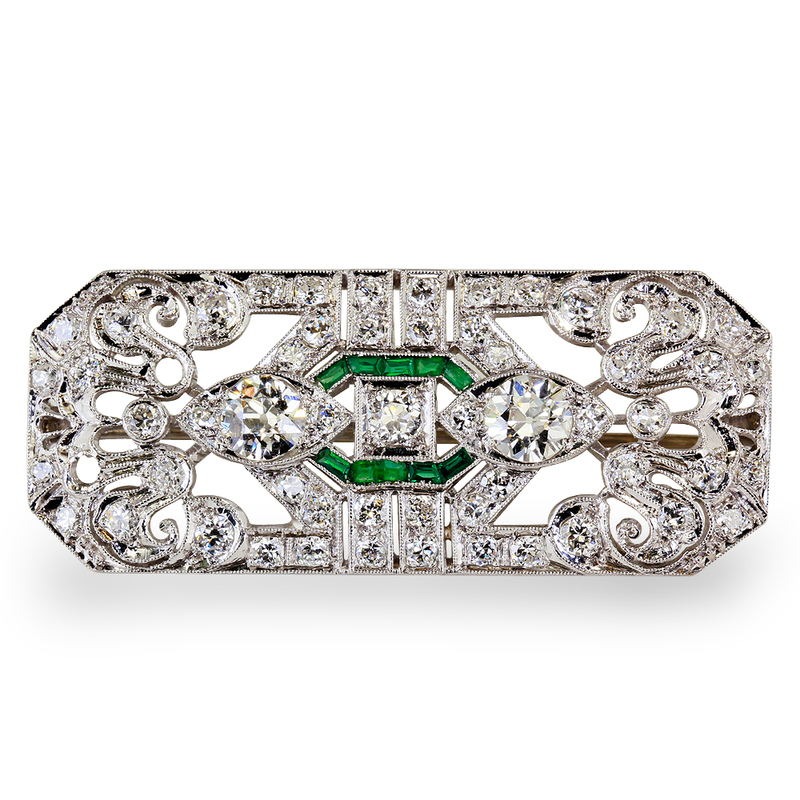 Premium quality jewels deserve to be handled with a level of service and knowledge of equally high standards. Our staff has 100+ years of experience in the field of purchasing and selling diamonds. With this level of expertise, we can provide you with answers to any of your questions and are able to evaluate the market for the best possible prices. TRUVAL is BBB accredited, ensuring the highest possible quality of professionalism and knowledge. We strategically evaluate your diamond beyond the Four Cs approach, therefore supplying consistently accurate results. 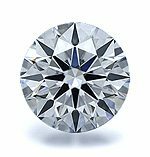 The 4 Cs is a standard evaluation for grading the cut and quality of your diamond. At TRUVAL, we make this our foundation to ensure you receive the most accurate quote. The colors of diamonds range from yellow to colorless. To the unskilled eye, most diamonds seem to be colorless. 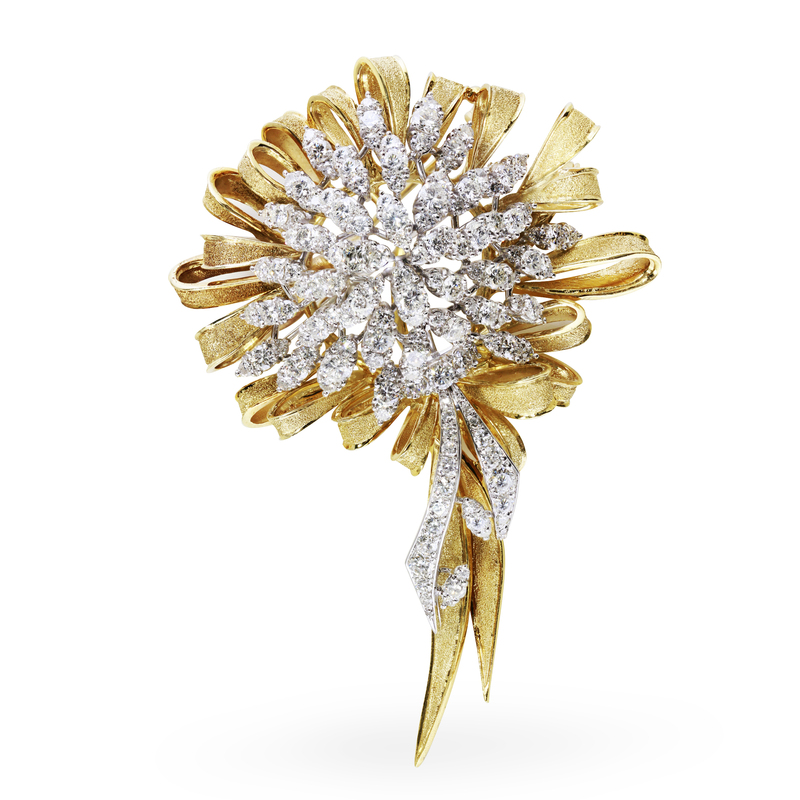 However, the majority of diamonds include traces of brown or yellow. The most valuable diamonds are closer to colorless. The most brilliant diamonds are the clearest. Most diamonds hold inclusions which are small “birthmarks.” The fewer and smaller inclusions there are in a diamond, the more light is able to pass through, making the stone more valuable. The weight of a diamond measured in carats is beneficial in determining the value of the stone. When the diamond is weighed, its mass in carats is converted into points. The more points your diamond accrues, the more likely your diamond will be sold at a higher price. The beauty of a diamond heavily depends on the quality of cut. This is because the craftsman’s diamond-cutting form and precision directly impacts how light reflects through the diamond. The skill of a diamond cutter determines the ultimate brilliance of a diamond and its qualities. Where to sell diamonds in New York City? When it comes time to sell diamonds in NYC, TRUVAL welcomes you to our main office, which is located in Manhattan, near Rockefeller Center in the Diamond District. Step into our fine establishment and enjoy being greeted by the most highly qualified professionals in the business. We’ll be more than happy to assist you with all the information you need on how to sell diamonds and receive the highest value available. We promise to make this process extremely enjoyable and as comfortable as possible. Our goal is to provide you with quality service and in-depth information; so you can rest assured we will never pressure you to sell. Instead, we will provide you with clear information on the market and offer the most profitable options for your situation. The process begins in the most convenient way possible: in the comfort of your own home. Follow our 4 Step Process to sell diamonds in NYC and discover why TRUVAL is the most qualified, professional and valuable diamond buyer you can find in New York. Start now and get a quote today! 37 W 47th St. 6th Floor, #600. We are here to make customers, not transactions and we do that by being informative and educating the customer about their jewelry. 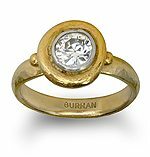 I take pride in treating each item with respect and It really puts a smile on my face when a customer is delighted to learn the true value of their fine jewelry. 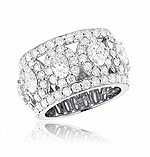 diamond wedding band with over 5 carat diamonds t.w. I was very happy with my experience at Truval. 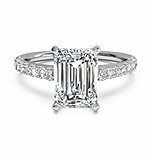 I had a small but unusual diamond ring to sell, and while I know a jeweler whom I asked for a... read moreI was very happy with my experience at Truval. 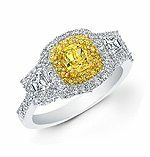 I had a small but unusual diamond ring to sell, and while I know a jeweler whom I asked for a recommendation, "his guy" does not deal with small stuff. So, I turned to Yelp and based on the reviews, and after clicking through to their website, I decided to try TruVal. I did not know what to expect and did not have an appointment. Steve was welcoming and friendly and based on the little I did know about m ring, I was comfortable with his offer. He also discussed several other rings I had with me and made me an offer for them as well. Working with TruVal was the best thing I did when looking for a place to sell my unwanted jewelry. Mr. Steve assisted me in the mailing process of my jewelry... read moreWorking with TruVal was the best thing I did when looking for a place to sell my unwanted jewelry. Mr. Steve assisted me in the mailing process of my jewelry and gave me a more then fair price for the items I sent them. It was a pleasure working with TruVal and would recommend them to anyone who is looking to sell there items. A key factor to me was that they are a BBB participant with a A rating. And the turn around time from the time they received my jewelry to the time I accepted there offer was minimal. After visiting three other jewelry places on 45th and 47th Streets to sell diamond rings and other jewelry and getting lowballed, I decided to check out Truval based on their... read moreAfter visiting three other jewelry places on 45th and 47th Streets to sell diamond rings and other jewelry and getting lowballed, I decided to check out Truval based on their Yelp reviews. I know that Yelp reviews can be manipulated (one of the other places had a computer in their lobby telling customers that if they gave them positive Yelp review, that they would get an immediate 10% discount!) so I am always skeptical, even with a good Yelp rating. Still, I decided to check out TruVal as I figured I had nothing to lose. I did not have an appointment and I met with Zak and he was genuinely a pleasure to work with. He gave me a price on my rings that was 2.5x the other offers and I accepted it without negotiating the price. First, he told me what the rings were worth and then what he would pay. I also had some gold and silver necklaces to sell, which they purchased as well, also giving me a very fair price. Note: I understand that they do take appointments so if you know you are stopping by, it may make sense to make an appointment first. I know that it is so easy to get ripped off by jewelers, especially if you are like me and know very little about jewelry. If you have anything to sell, you can go elsewhere to get a few prices to compare but always go here afterward and you will be shocked at what they will offer and the probability of you being lowballed elsewhere. For me, the difference was quite significant, like I said earlier, 2.5x! This company is the real deal: Steve is knowledgeable, kind, and efficient. I would highly recommend buying or selling with Truval. This place is now my go to place to sell any jewelry or precious metals! I've been to others where the appraisers made me feel like it was a... read moreThis place is now my go to place to sell any jewelry or precious metals! I've been to others where the appraisers made me feel like it was a bother to look at my items. Leaving me with a feeling like they were low balling me. At Truwal, I set up a 15 min appointment with Steve. I felt welcomed and it was done in a private office setting . Not some kiosk where a hundred jewlers are staring at you and pressuring you for business. I felt comfortable with the prices that were offered and trusted that my business was valued. I've been to Truval twice now to sell watches, gold jewelry, and stones. Steve and Schlomi are so kind and funny, they make the process super easy, and the time... read moreI've been to Truval twice now to sell watches, gold jewelry, and stones. Steve and Schlomi are so kind and funny, they make the process super easy, and the time fly by. I initially went to a few buyers with my items but didn't feel as comfortable or get the same prices as I did at Truval. Circa Jewels, for instance, has really fancy offices and cute little evaluation rooms, but they offered me pennies for my jewelry. Total waste of time. I won't go anywhere other than Truval in the future. Five stars! Steve was very professional and friendly. He negotiated with me for a fair price and explained the reasoning behind that price. He wasn't pushy like many other people I have... read moreSteve was very professional and friendly. He negotiated with me for a fair price and explained the reasoning behind that price. He wasn't pushy like many other people I have dealt with in the past. I felt really good about him (Steve) not like the cats that try to get over on u. He meticulously checks out ur merchandise using the lastest technology and had... read moreI felt really good about him (Steve) not like the cats that try to get over on u. He meticulously checks out ur merchandise using the lastest technology and had a very down to earth personality. He gave me a fair price and i felt this is where u would want to go if u want to sell jewelry , coins, whatever. I don't see any reason to ever go anywhere else. This is the type of place I actually hope for when looking for the absolute best prices. I will recommend him to anyone. Swell guy. U don't find that too much. I was impressed. Great location, right in the heart of diamond district. I personally felt it was the best location, because it is in a safe building up and inside. When... read moreGreat location, right in the heart of diamond district. I personally felt it was the best location, because it is in a safe building up and inside. When you are walking there the street is mobbed with shady characters who seem like they just want to rip you off. Super friendly staff from the time you enter till the time you leave. Steve at Truval was a pleasure to deal with -- straightforward, personable and clear about his appraisal of old family silver. Truval's online appointment system is easy to use... read moreSteve at Truval was a pleasure to deal with -- straightforward, personable and clear about his appraisal of old family silver. Truval's online appointment system is easy to use -- we got an appointment for the next day. You have to get through the gauntlet of solicitation along 47th St. Diamond District, so it is nice to do business in a doorman building and quieter, 6th-floor surroundings. We would happily use Truval again. ex's Audimars Piguet 25% more than it was assessed for anywhere else..
be a catch, i wanted to think about it and look at all my options. Hello, if you are reading this review you're probably contemplating where would be the very best place to sell you're diamonds and or jewelry. Well you are in luck because... read moreHello, if you are reading this review you're probably contemplating where would be the very best place to sell you're diamonds and or jewelry. Well you are in luck because I personally had a very sentimental piece of jewelry that I thought I would never sell in a million years however; after a heavy thought process about selling my item (which honestly represents something different to me nowadays) coupled with needing the extra monetary assistance, I came to peace with selling my item however; I did not want to go to just "any" place. I have always been skeptical about visiting places where people sell jewelry and or diamonds because a lot of the times people surround those areas and walk up to you in the street and ask questions about buying and selling which can in return make a person feel quite nervous. As I decided to sell my item I did a search online and found 5 different businesses to visit. Upon reading the reviews the company that had the very best reviews was Truval. After reading the glowing reviews I visited their website and was even more astonished at how detailed, professional and easy their website was to use. Their website is very precise when it explains that they have "expert diamond buyers" along with the fact that the customer "can sell with confidence" and be "offered the highest payout guaranteed". I was also very impressed with how the website explained the three simple steps to the selling process and then gave me the option to actually book an appointment. Everything was simple, clean cut, quick and easy which is exactly what a customer would want when they decide to sell their jewelry. The magic does not stop there because once I made the call to Truval, I immediately spoke to a live person whose name is Steve and he was very accommodating in booking an appointment for me and even sent me a reminder email and text in regards to the location, date and time of my appointment. Once I entered the office I was greeted by a very beautiful, friendly as well as accommodating receptionist who not only offered me water but actually poured it in a glass for me. I felt like royalty. The office is very clean, bright, friendly and professional. My wait was not long at all. Once I met with Steve I told him a little history about the item I was selling and a little bit about me and to my surprise he didn't try to rush me or focus only on the item I was selling, he actually took the time to listen to me and even shared alittle about him and the company which made me feel even more comfortable because at that point I realized I was not just another customer I was valued and treated like a person. Because of that I wouldn't hesitate to visit Truval again in the event that I ever wanted to sell and or purchase another quality item. Steve was very honest in his appraisal, gave me several options and allowed me to decide which option I felt was the best. I didn't feel rushed, coerced or that I was being taken advantage of in any way, shape or form and we came to a very fair agreement that I felt very comfortable with. Let's begin with the fact the TRUVAL is not on street level of 47th but instead is on the upper floor of an office building with a waiting room, private... read moreLet's begin with the fact the TRUVAL is not on street level of 47th but instead is on the upper floor of an office building with a waiting room, private buying offices and, actual appointments which made it feel like a professional establishment. I decided to sell my old jewelry upon my visit to New York, I figured if I was ever going to sell my engagement ring why not do it in... read moreI decided to sell my old jewelry upon my visit to New York, I figured if I was ever going to sell my engagement ring why not do it in the diamond district. Navigating through the dozens of buyers is no easy task and I made it a point to gain some insight as to who are the more reputable buyers by reading reviews on Yelp and putting these buyers to the test. One quick lesson learned is that if you had something appraised you should not expect anything near that price from a diamond buyer, appraisal's are for "retail replacement value and for insurance purposes", that's beside the fact that these jewelers need to earn a living. All of the reputable "buyers" I visited seem to have the same fugazi tactics, from telling me my diamond is out of style to asking me how much I want. If I knew how much i wanted I would not be asking for an offer! The offers I received ranged considerably which left me frustrated but more knowelgable about my diamonds value. I decided to take lunch before finalizing a deal and that's when a friend referred me to TRUVAL! At this point I already had three offers and figured why not, boy am i glad i did that! I met with Shlomi Shlomo at their buying facility, it's located upstairs which I prefer as it keeps my business dealings more discrete. Working with Shlomi was truly a pleasure, I could tell right away that he was forthcoming, honest and a real diamond expert. He's also a gemologist and diamond cutter with all the tools he needs to assess your jewels right in front of you. He took the time to explain what factors affect the price of my diamond in a friendly and educated manner. I know he was telling the truth because I spoke with 6 other jewelry buyers before meeting with him. The biggest difference was their approach to buying, my previous stops all calculated a price and tried to make unnecessary small talk. At Truval shlomi explained to me how he evaluates the potential to recut my diamond to improve its cut, clarity and even color. He even showed me a princess cut that he recut to a cushion shape! Finally he made me an educated offer based on real world market values which exceeded any previous offer I received from the fugazi establishments I visited earlier. I traveled five hours to New York's Diamond District specifically to sell my diamond cocktail ring. I went to several places but I felt very comfortable and got the best... read moreI traveled five hours to New York's Diamond District specifically to sell my diamond cocktail ring. I went to several places but I felt very comfortable and got the best price at Truval with Zak and Shlomi. None of the others took the time to listen to my concerns and were quick to offer their prices. I'm very impressed with the level of service that Truval provides and I would recommend them for any diamond buying or selling needs. Optimum professionalism... I met Steve Madar.. the epitome of courtesy, efficiency, and swift action. I highly recommend Truval to anyone who thinks or considers selling his/her valuables.. Thank you Steve.. However, Truval has changed up my usual game. I shopped around - I went to 4 places total (including Truval). After having gone to 3 places, I did another quick Google search and found Truval. I called them and got an unusually friendly and kind voice on the phone - I actually thought it seemed out of place from the usual "I could care a less about you" New York kind of response. I shrugged my shoulders and asked if I could come in immediately since I was in the neighborhood. The guy on the phone said "sure, come on over." I did just that - and met with Steve. He did the usual - weighed my items and then we got down to business. I had been offered more at another place and told Steve that. We did a little back and forth and he decided to meet the price from their competitor. He explained how this business works and I felt like he was a very genuine and honest person. I actually felt (for a few mintues) that he cared - I don't know if he did or not, but it felt like he did. I really appreciated his kindness - such a rarity these days. I would definitely come back because I trust him. Seems like he has good values and morals. Again, a rarity these days. Professional service - user friendly website - People you can trust with. I was contacted by Steve from Truval regarding an inquiry regarding some cufflink that I owned. Steve gave me... read moreProfessional service - user friendly website - People you can trust with. i must start out by saying that before TRUVAL I have never sold valuables through such a service or outlet .my overall experience was better than expected and truly a... read morei must start out by saying that before TRUVAL I have never sold valuables through such a service or outlet .my overall experience was better than expected and truly a 5 star experience. initially when referred by a close friend i went in with a guard up just to see what i can get on my ex's ring that i was dying to get rid of, i just couldn't look at it any more.. i was ready to take a loss (which was pretty apparent ,but they still didn't take advantage of me or situation ) from the second i walked in i was totally " wow'd " they appraised my ex's Audimars Piguet 25% more than it was assessed for anywhere else.. that kinda got me off guard, and i right away thought that there must be a catch, i wanted to think about it and look at all my options. Our experience at truval was truly no short of a 5 star experience. My husband and I made an appointment with Steve for last week and he took us promptly... read moreOur experience at truval was truly no short of a 5 star experience. My husband and I made an appointment with Steve for last week and he took us promptly when we came in. We laid out a dozen older pieces of gold and platinum jewely that ive collected over the years and no longer have a place in modern style. I also wanted to sell a diamond that i inherited from an estate. After a 20 minute evaluation of everything, we got an offer 30% higher then we expected so we didnt even feel the need to negotiate! While in NYC on business, I planned to sell my "starter" set of diamond studs and find about the appraisal process for the pair I currently wear. Truval's online appointment... read moreWhile in NYC on business, I planned to sell my "starter" set of diamond studs and find about the appraisal process for the pair I currently wear. Truval's online appointment process is fantastic, and once you arrive and meet the staff, the experience gets even better. For the sale, I met with Shlomi. I could write volumes about how wonderful, professional, knowledgeable, and generous with his time this man is. I (thought I) have learned a lot about fine jewelry since I bought those first diamonds in the Caribbean many years ago. I didn't realize how little I knew then. It turns out the diamonds I wanted to sell were of little value to a wholesaler (they are horribly included - Shlomi lent me the loup to inspect them, and they were a disaster! Never buy a diamond without looking the stone for yourself. NEVER.). Shlomi offered me suggestions on what I might do instead with the stones. Meanwhile, with the studs I was wearing, he educated me beyond the 4 C's on how to evaluate a diamond. And because they had the time and the right personnel in house, I was able to secure the appraisal for those stones before I left Truval. I cannot thank them enough for fitting me in for this service, unscheduled. I'm very impressed with the level of service that Truval provides to their customers. Everything from making an appointment to receiving payment was extremely pleasant and seamless. I met with Steve... read moreI'm very impressed with the level of service that Truval provides to their customers. Everything from making an appointment to receiving payment was extremely pleasant and seamless. I met with Steve at their midtown location to sell an old engagement ring and a few other pieces of gold jewelry. He clearly explained the process to me before looking at my items, and then proceeded to thoroughly evaluate each piece (I can tell there's a big difference between the usual "cash for gold spots" and this place). Once everything was looked through, they made an offer that I accepted and I walked away satisfied. They were very fair and trustworthy. I think this should be your only stop if you are looking to sell/purchase jewelry/diamonds. I will definitely be back.